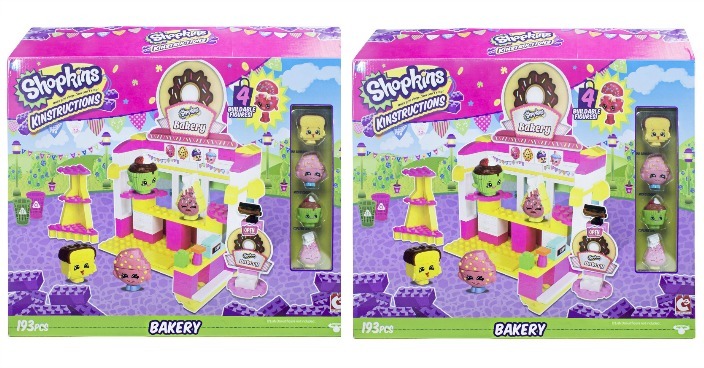 Shopkins Kinstructions Bakery Scene Pack Just $8! Down From $20! You are here: Home / Great Deals / Christmas Deals / Shopkins Kinstructions Bakery Scene Pack Just $8! Down From $20! Amazon has this Shopkins Kinstructions Bakery Scene Pack on sale for $8 (Reg. $20)! Now you can build the world of the cutest, most-collectible characters with Shopkins Kin’struckins Scene Packs! Each pack comes with a buildable set and 3 buildable figures! Build, Shop and Kin’struct your Shopkins world! Includes: 4 Buildable Figures, Set and Accessories.